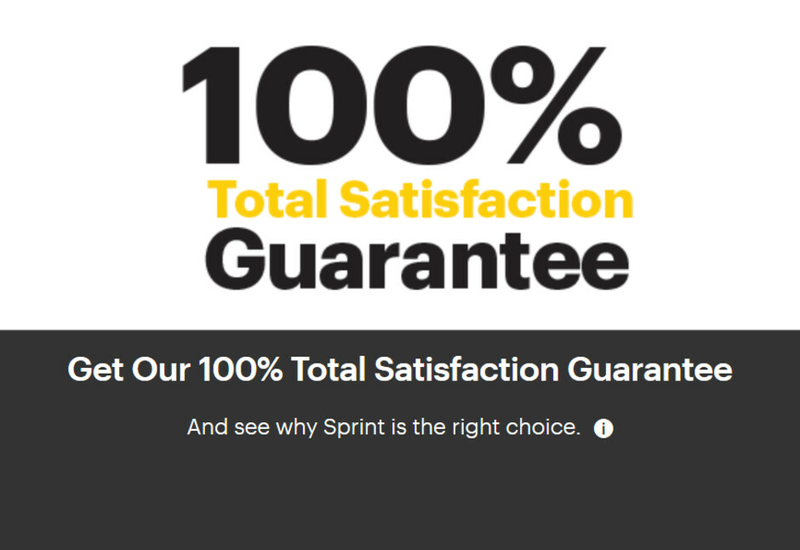 Sprint believes so much in its network that the carrier announced today its new 100% Total Satisfaction Guarantee. New customers and existing ones adding a new line will get 30 days to try out Sprint's LTE network. If they are not satisfied at the end of the 30 days, Sprint will refund the cost of any new phone, service charges and fees. And there is more. Starting today, those switching from another carrier to Sprint will get up to $650 in the form of a prepaid Mastercard. The funds will be used to pay any early termination fee or remaining balance on a phone. If the new Sprint subscriber buys an eligible phone, he will also receive a $250 prepaid Mastercard. Sprint is confident because of a 36.4% increase in its nationwide average download speeds year-over-year. And with new roaming agreements in place, the carrier has expanded its LTE coverage by 30%. If you're willing to give Sprint a chance, you can sign up online or at your nearby Sprint store. Let's say you try Sprint for 30 days and you're not happy. To be 100% clear, you will get back any monies applied toward a new phone and any down payment. That includes any lease or installment payments. And any service charges (including any monthly recurring charges, activation fee, and all associated taxes and fees) will be refunded. To promote its new 100% Total Satisfaction Guarantee, Sprint has produced some new ads that you'll no doubt see while watching the NBA playoffs this weekend. They need a 365 day return policy. Can you imagine not having cell service for 30 days? So pretty much Sprint will pay you $650 to be disconnected from the world for 30 days. So that 30% increase means that 150kbps is being jumped to 195kbps. That’s better than airplane mode speed. 30 days? It'll only take 30 seconds to realize how terrible Sprint's network is lol. You need way longer than 30 days. In my area, Sprint had great service until last year( that doesn't include when service goes partially out in areas for a month or so). People have complained about the coverage, but they refuse to fix the towers. There's 2 towers that work for an area that has 4-6 towers that are Sprint towers. Southern California. In between sand Diego and the Arizona border.